I think if Iwere Coco Chanel Iwould have adored this mirror. named "Coco". 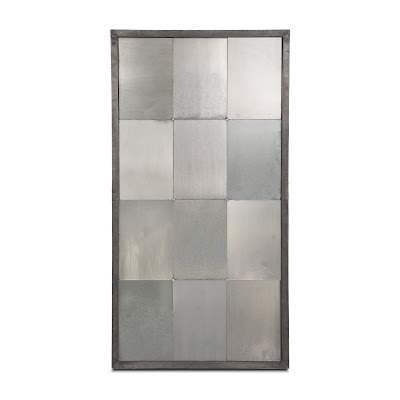 Made Goods makes some incredible mirrors that are works of art not just reflections of mirrors we've seen in furniture stores and the usual "design" shops..
As Beadboard is a design source for both customers and to the trade I try to find unique pieces that will fit into different design venues and are of exceptional quality. This, a favorite of mine the "Jacob". Don't you just love how they have a name?????? 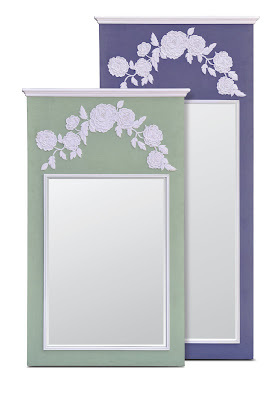 It has a French influence and is hand crafted and finished as are all the mirrors from Made Goods. They are original, familiar and timeless. This is a great example of their work. Look at the finishes of the IVES. 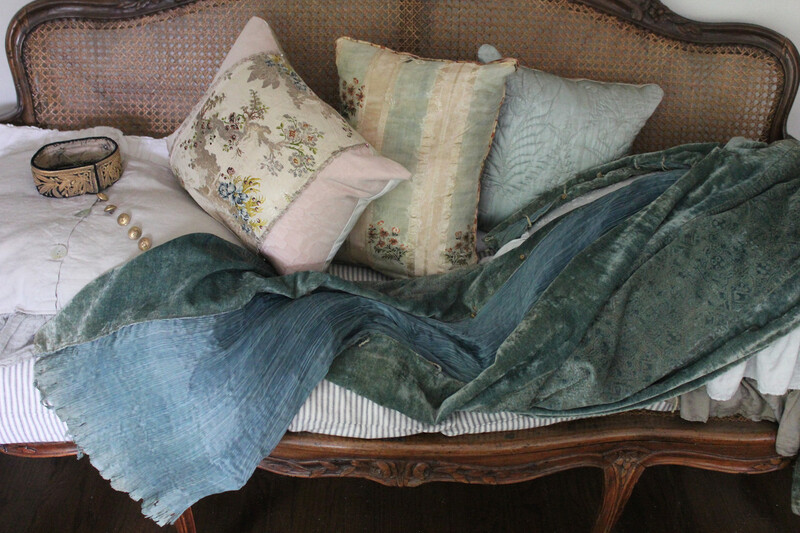 Could you see this in a home with French influence as if from Morocco? It is a frame with another cut out frame surrounding it. Designed by Oscar Yague from Barcelona and artfully marketed by Chris De Witt, Made Goods has been in business since early 2008. 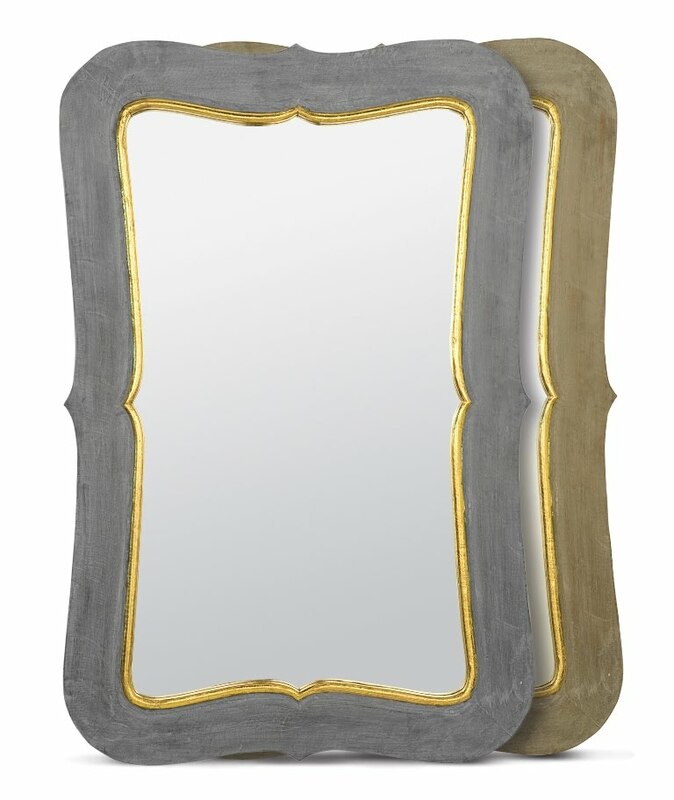 This is the Sophie Trumeau mirror. What so you think it is made of????????? 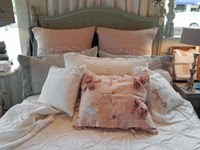 Linen in the back and embroidered flowers embellished with glass beads. In person these are WOW. 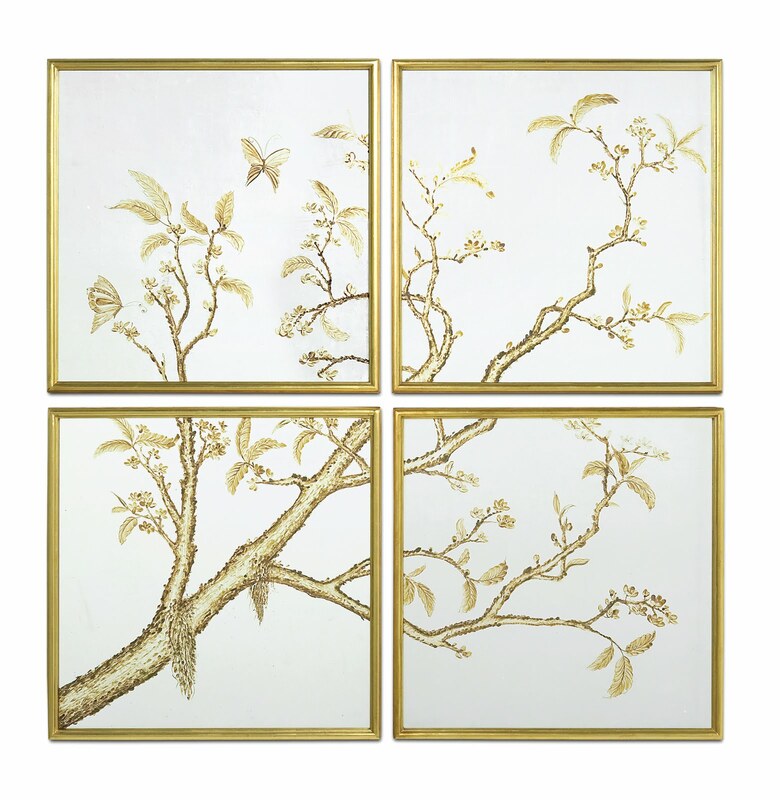 I love this one....... A gold tone Chinoiserie style tree branching through four 24x 24 panels that are hand painted over the top of an eglomise mirror.. It's name? Phoebe. It seems the companies that are in tune with their craftsmanship give the product names...Hmmmm. 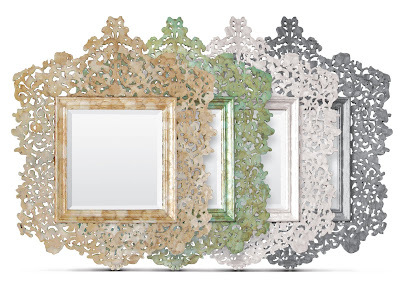 Joelle......A lot of the mirrors come in different sizes, can be custom made and even offered as frames for your own artwork!!!!!!!!! Can you say Flexibility??????????? Beatrice, antiqued mirror panels framed with zinc. I think this can go anywhere.....Contemporary, maybe not.... All of their offerings have character and are unique. 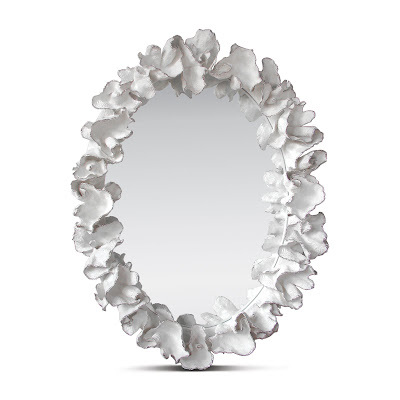 If these mirrors intrigue you, you'll be happy to know they make chandeliers and some furnishings as well. The mirrors are made with wood, shells, crushed shells, resin, metals, and fabrics and are not mass produced. 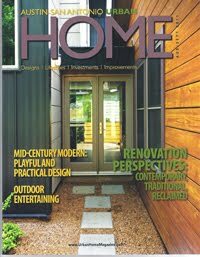 We can order for you at Beadboard. To see more go HERE . Wow! This is a wonderful resource! I really love the chinoiserie collection. How different? You obviously work very hard resourcing. Thanks for always sharing. I hope I get to meet you in the Fall when we come to Roundtop! You really did a wonderful post. Those are beautiful mirrors. They are so pretty you would buy one even if you didn't need it. These mirrors are not about need, they are about elegance, style and using materials that are generally overlooked, and reuseable. Thanks for your comment. 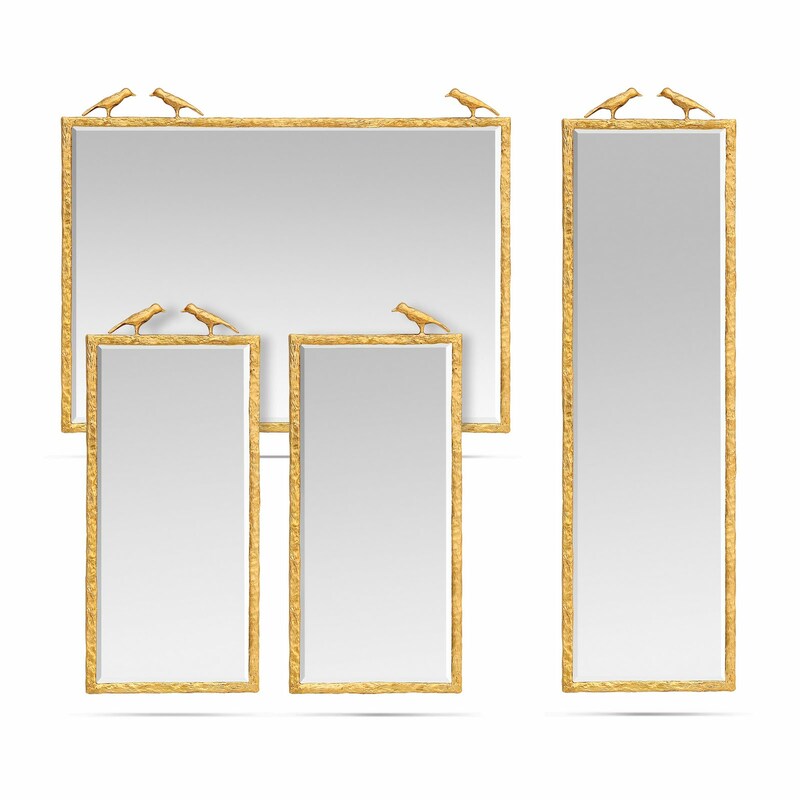 the first mirror is absolutely DIVINE!!! In love with the Jacob! Delightful post! They are all beautiful... but my favorite is Beatrice! What a beauty! All these mirrors are fabulous and thanks for sharing. My favourite is the Coco. Well if I could have my way, I would choose Coco...it is really such a fresh departure from the traditional applications. I also adore the simplicity of the Joelle with the little birds. You have such a talent for digging deep and finding the not so ordinary which is especially appealing to those of us who don't want the cookie cutter look that is so often served up in the design world. Hope you will enjoy a wonderful weekend. I have the bird mirror! The long vertical one, only in the dark antique bronze finish...needless to say...I love this company! OK Ms. Snow....! 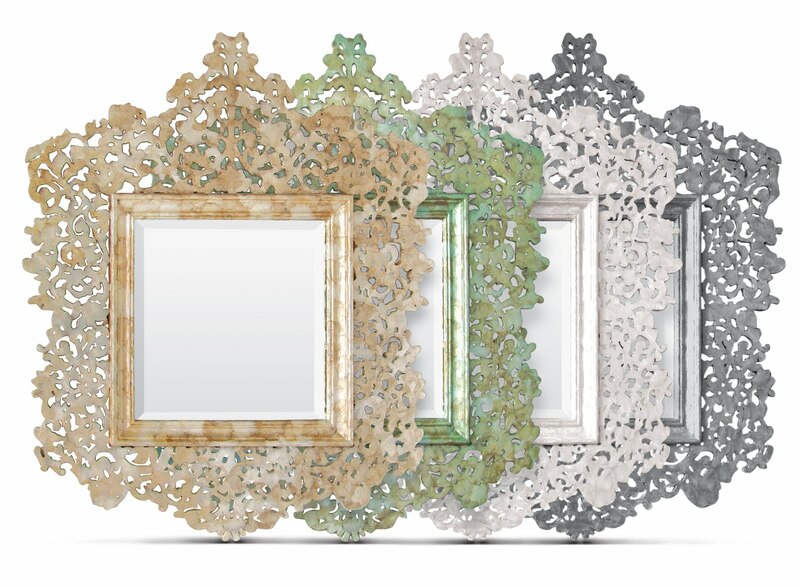 love mirrors, love the zinc-framed...and those birds! Lovely! espejito, espejito, quièn es la más bonita? I love all of them, each would fit in the right place, but Jacob´s would be the one I would choose. The Extra Man / Kevin Kline! 8/13! New Orleans Style Lighting and more! A preview!